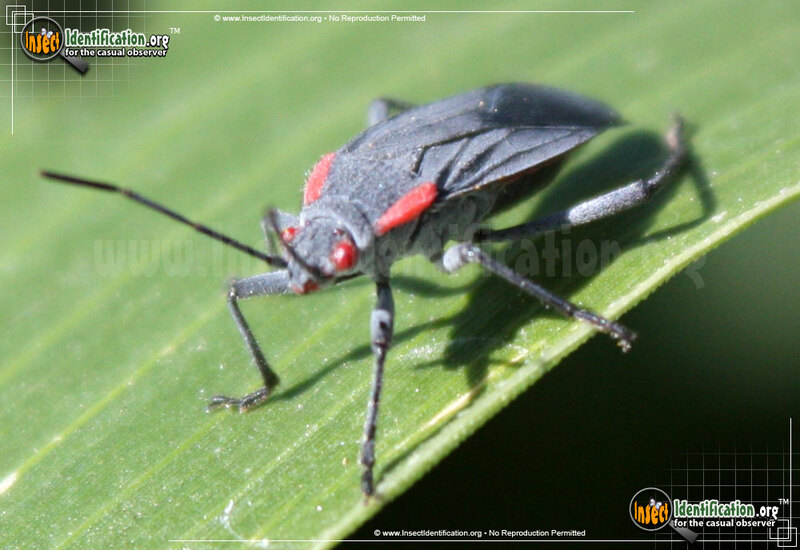 Detailing the physical features, habits, territorial reach and other identifying qualities of the Red-Shouldered Bug. The bulbous red eyes on the Red-Shouldered Bug, an uncommon feature in insects, generate a curious interest in this otherwise overlooked insect. 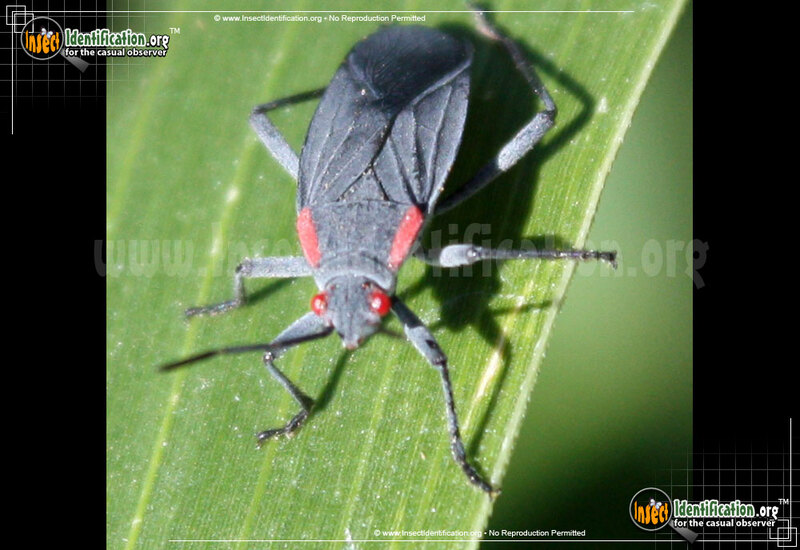 The mostly black Red-Shouldered Bug has bright red edges on its pronotum, the 'shoulder' area of the insect. This vivid red color is also seen in the large eyes, an unusual for most insects. The edges of the abdomen are also red and may or may not be visibly extended from under the wings. Despite the alarm coloration, this insect is not a threat humans. It is also scentless, meaning it does not spray a noxious chemical when disturbed like other similar-looking insects. Like many plant bugs, the Red-Shouldered Bug tends to form large congregations around host plants and even seeks winter shelters inside warm houses and buildings. Because many plants in the Soapberry family are food sources for this type of bug, it is sometimes referred to as a type of Soapberry Bug. It seems to be fond of the sweet sap and fruit from various trees, having been seen feeding on figs, plums, and cherry trees. Dead insects and food leftovers from humans are also welcome parts of the Red-Shouldered Bug's diet. This species can be found on or near host plants during the spring, summer and autumn. In warmer regions, a female can produce two broods a year. It is seen almost year round in California, Florida, Texas and Mexico.